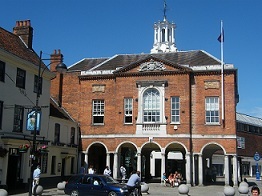 High Wycombe is a modern, thriving market town. Situated in the beautiful Chiltern Hills, it is perfectly placed to enjoy both nearby countryside, and excellent commuter links to London (trains reaching London Marylebone in approx 35 minutes) and easy access to Junction 4 of the M40. With High Wycombes dynamic new shopping concourse (Eden) plus a new Civic Square, restaurants, cafes and leisure opportunities, a new library and new bus passenger interchange, High Wycombe has become one of the top 50 shopping destinations in the UK. Add to that one of the finest theatres outside of London, the Wycombe Swan, a choice of Cinemas, a vibrant night life with a variety of restaurants, bars and nightclubs, excellent sport facilities including a 50 metre swimming pool, track and field and you have all the ingredients for a fabulous lifestyle.